The Dulwich Almshouse Charity’s almshouse building, Edward Alleyn House, is on College Road in Dulwich, in the Borough of Southwark. 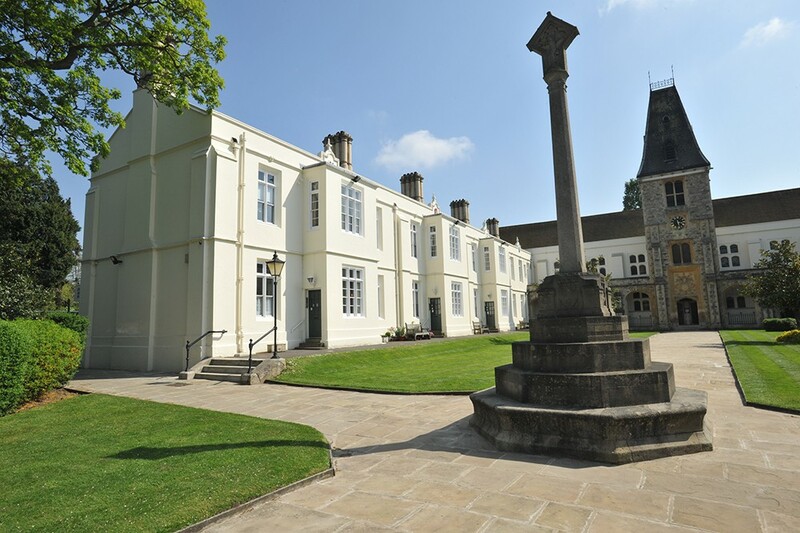 The present building was constructed in 1739 (on the site of an earlier building) and enlarged in 1886. It is a Grade II listed building. The almshouse has 14 one-bedroom flats. Some flats are on the ground floor and some flats are on the first floor. There are internal stairs to the first-floor flats, and a chair lift has been fitted in some of the stairwells. As there are three steps leading to the almshouse’s front door, unfortunately none of the flats are accessible for people who are in wheelchairs, or who have other significant mobility issues. The almshouse also contains two small bedsits, which are too small to be occupied by long-term residents. The ground floor bedsit is used variously as a guest room for residents’ visitors; as the scheme manager's office; and as a communal space for residents. Each of the 14 flats has its own bedroom, bathroom, living room and kitchen. In some flats the kitchen is a separate room, and in others the two rooms are combined in an open plan layout. The kitchens are fitted with a stove and fridge freezer. There is a communal laundry room for the use of the 14 flats. There are limits to the adaptations we can make to the flats because it is a Grade II listed building. Despite this, we are committed to ensuring that the flats are well maintained and improved where possible to accommodate residents’ needs.